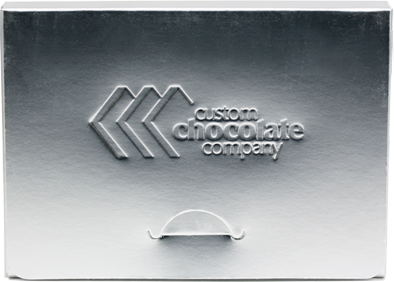 “Weddings are an ideal use for custom chocolate company's products. Our unique heart shapes can be customized with your names, wedding date, initials or any text / design you like." Wedding favors can be both stunning and affordable! 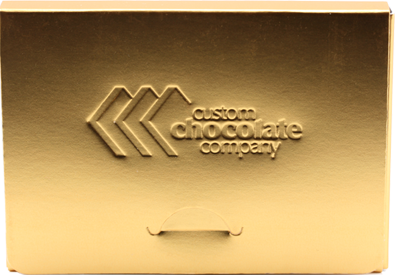 Each custom chocolate also includes a gold or silver box! 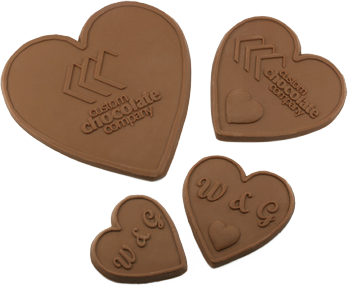 Wedding chocolates have a special option: a custom extruded "bubble" heart at the base, at no additional charge, as seen in these heart samples. In addition, you can fully customize the design of both the chocolate and the box. Common ideas include the wedding date, initials, or a personal meaningful message. For the box a small image or logo can be embossed with the initials or wedding date. Complete custom orders for over 175 chocolates can be purchased starting at only $150 including setup, shipping, custom chocolate, and custom boxes. We are pleased to offer the best value for wedding favors. In addition to individual chocolates, our gift boxes make ideal more elaborate favors. For example, a 3 square flat gift box enables you to use 3 hearts one of each chocolate type all packaged in a long box with custom embossing. Regardless of your requirements, we are here to meet your custom chocolate needs and help make your special day a perfect one!